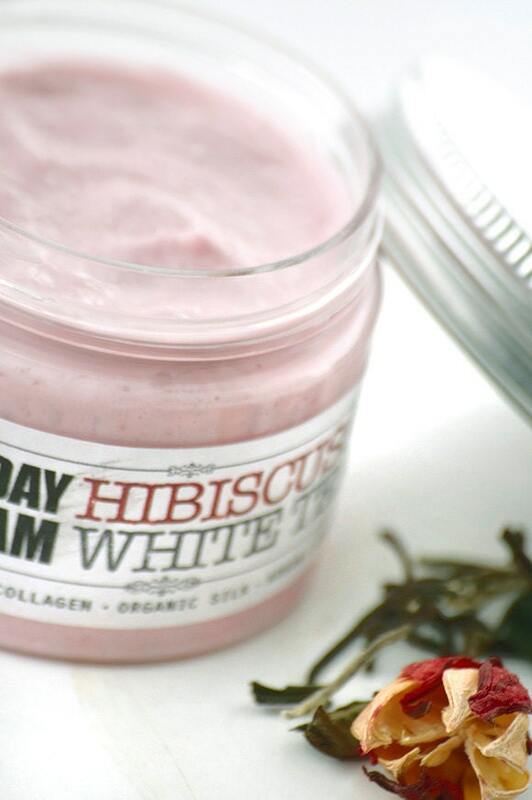 HIBISCUS & WHITE TEA Day Cream • Organic Moisturizing face cream for skin firming and Balancing with hyaluronic acid, collagen and rosehip. ► DETAILS : Light and grease-free yet so very powerful day cream formula. Having literally a ton of organic, powerful, skin loving ingredients will make a difference within the first week of use. 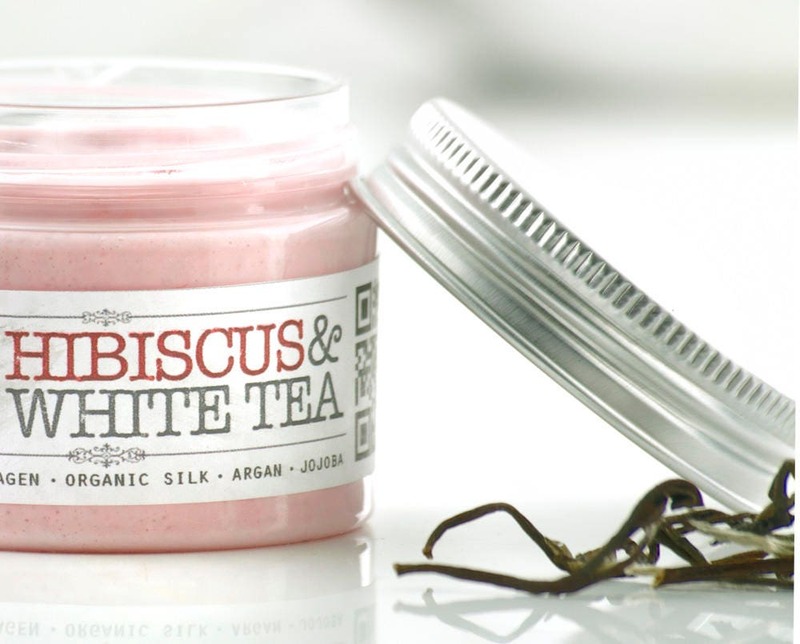 Hibiscus and White Tea with their skin firming and highly anti oxidant properties are the main active ingredients of this cream. They will both balance and rejuvenate tired skin cells while they will fight free radicals and promote anti aging action. 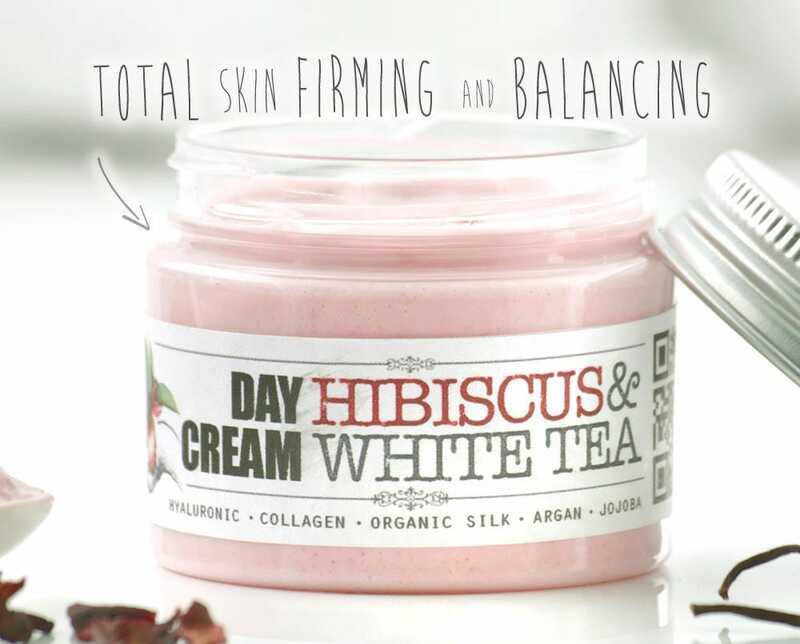 Except of skin firming ant anti aging, HIBISCUS & WHITE TEA DAY CREAM highly promotes skin elasticity and power-moisturizes facial complexion, eliminating thin lines and nourishing your face. 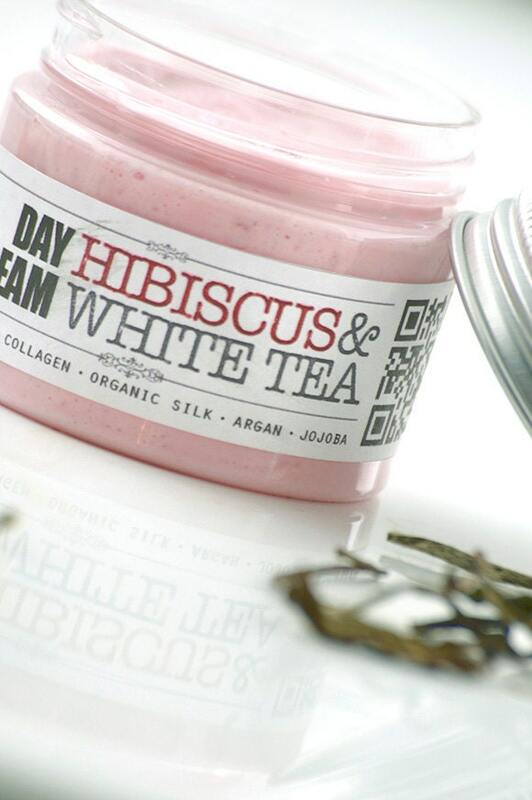 Hyaluronic acid, Collagen, Argan oil and Shea Butter are the ingredients that work this magic on your skin. 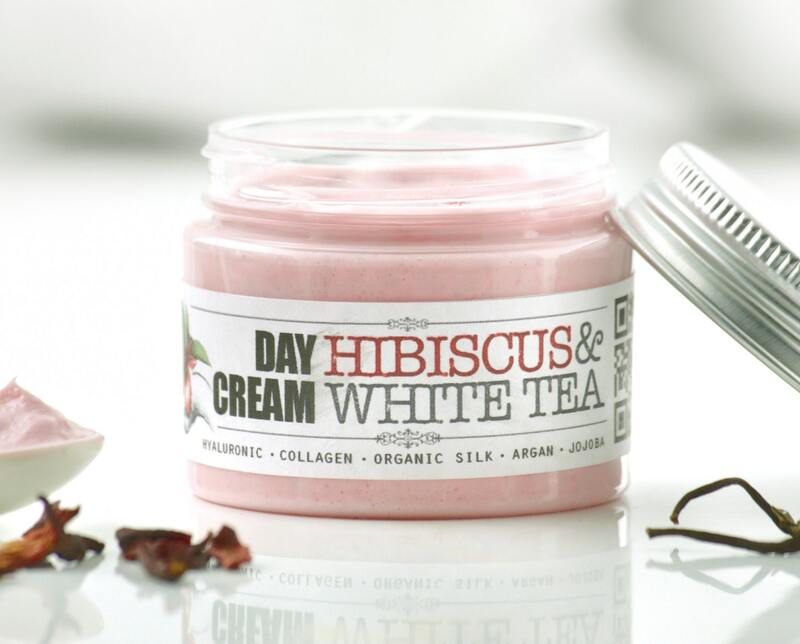 Organic Rosehip, Organic Silk, Jasmine, Evening Primrose, Jojoba and Aloe Vera, are the ingredients that perfect and complete this cream's formula. All these combined, soothe, heal, nourish and glow your skin, making it shine while looks and feel regenerated and vivid fresh. 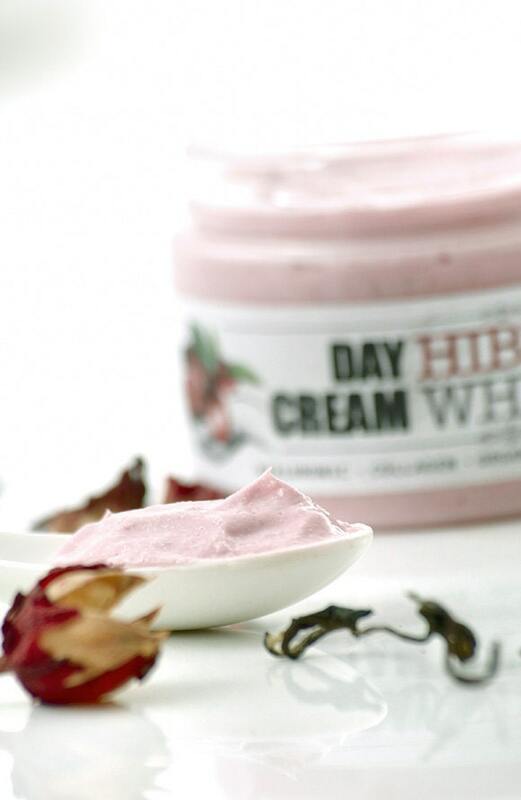 Having a beautiful subtle jasmine scent and a pale hibiscus pink colour, the HIBISCUS & WHITE TEA DAY CREAM is ideal for facial, neckline, bust and breast use. 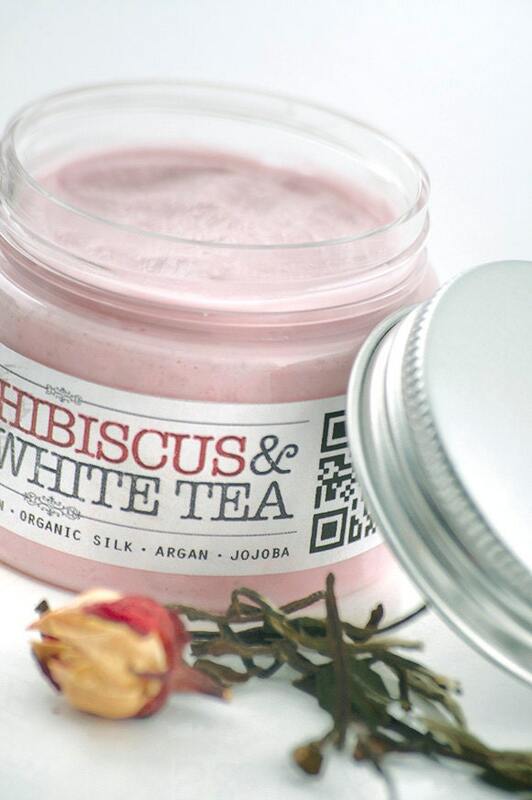 Combine with elixirium's HIBISCUS Facial Mask with Pink Clay & Rosehip, for a complete firming and rejuvenating face treatment. I ordered this moisturizer when it was really hot and humid during the summer. I loved the product. But I kept it in my bathroom where there was a lot of steam. With that and all the heat outside, it molded like yogurt can if left too long. The person who makes it said that it was probably the heat and humidity and sent me another one to try again. It had cooled off by then and I didn't have any problems. So will be careful next summer, will maybe keep it in the refrigerator for those months. Sorry I'm so late with my review! I absolutely love this moisturizer! It took a while for my skin to get used to it but now my skin is so soft and looks better than ever! This smells good, but the smell is really strong at first. Lovely fluffy cream, very soft nice sweet smell, Great wrapping!